The way we shop has undergone many transformations over the years - and a pioneer of one such change was the department store. Selling everything from clothes to cosmetics, furniture to food - the department store was a one-stop shop for consumers. 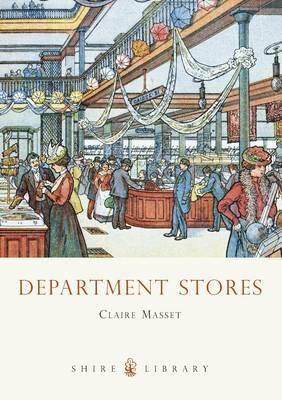 Claire Masset charts the history of the department store, the innovations in retailing, advertising and technology, and the developments in fashion, design and working practices. Using evocative adverts, prints, memorabilia and photographs, the highs and lows of the high-street giants are discussed, including the golden age of department stores in the 1920s and 1930s, and their future in a modern world. Filled with amusing anecdotes, this lively book brings the fascinating world of department stores to life.